The Institute of the Motor Industry (IMI) has presented Linda Jackson, Citroën’s Global CEO, with the prestigious Sue Brownson Award in recognition of outstanding leadership in the automotive sector. The award was created in honour of Sue Brownson OBE, an exceptional figure in the sector, and former president of the IMI. 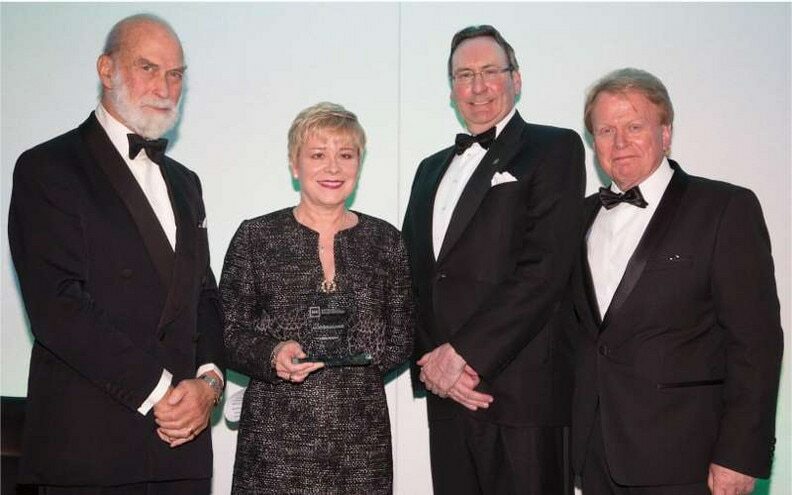 Linda Jackson, Citroën’s British Global CEO, was presented with the prestigious Sue Brownson Award by the IMI’s Patron, HRH Prince Michael of Kent, last night at its annual dinner in London. The award was created in memory of Sue Brownson’s outstanding contribution to the automotive retail industry and designed to recognise individuals in the sector who have demonstrated ‘excellence in leadership’. Linda has been CEO of the global Citroën brand since 1 June 2014. An MBA graduate of the University of Warwick, Linda joined Citroën UK in 2005 as Chief Financial Officer. Five years later she was appointed as Managing Director of Citroën UK and Ireland. Under her leadership, Citroën has reinvented itself, bringing a breath of fresh air to the automotive landscape with products that are focused on design and well-being. Linda has also renewed the brand’s positioning, expressed through the new ‘Inspired By You’ signature, and continues to redefine the way people travel today through the Citroën Advanced Comfort® programme. The Sue Brownson Award started four years ago and previous recipients have been Lord March, Joe Greenwell CBE (former Chairman, Ford Europe), and Dr Ian Robertson (HonDSc, Member of the Board of Management of BMW AG).